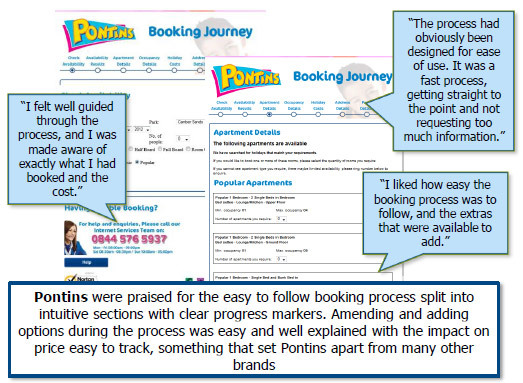 Pontins was announced as one of 13 winners at the 2013 UK Customer Satisfaction Awards which took place last night (26 February, 2013) at the Lancaster London Hotel. More than 500 business leaders attended the third annual UK Customer Satisfaction Awards organised by the Institute of Customer Service. Pontins were awarded the UKCSI Award for Most Improved which recognises the organisation that achieved the greatest increase in their UK Customer Satisfaction Index (UKCSI) score score between January 2012 and January 2013. Jo Causon added: “Pontins are differentiating through service, placing customers at the heart of their business strategy and securing a bright future for their employees by doing so.” The Institute of Customer Service UK Customer Satisfaction Awards took place at the Lancaster London Hotel on 26 February 2013 following the Annual Conference. The UK Customer Satisfaction Awards is an annual event run by the Institute of Customer Service to recognise excellence in customer service strategies and business performance. One of the Award categories is the "UKCSI Award for Most Improved Organisation". This is the category that Pontins has won. Every six months, UK consumers tell us how satisfied they are with the service they’ve received from lots of difference organisations throughout the UK via an online survey comprising approximately 20 questions. The questions are derived from extensive research conducted by us over the past 15 years. The whole process is called the UK Customer Satisfaction Index (UKCSI). We calculate a score out of 100 for every organisation where enough customers have commented on them in the survey. At our annual awards ceremony, we present a trophy to the highest scoring organisation, and the organisation who has achieved the greatest increase in score over the whole year – this year, it’s Pontins. They are the first port of call for every aspect of customer service. They deliver high quality, tangible benefits to organisations, individuals and other stakeholders, so that their customers can improve customer experience and business performance. Visit the ICS website for more details. eDigitalResearch have been benchmarking the top 50 UK Internet retail sites since 2000. In 2005 eDigitalResearch commenced benchmarking the UK car industry and in 2008 they added UK financial sites. In 2011 eDigitalResearch released their first App benchmark. In June 2009 eDigitalResearch commenced their eMysteryShopper eTravel Benchmark. This is their tenth report.